Around 150, 000 jobs in Australia were offered to Scots. The Herald Scotland reported that Western Australia's Training & Workforce Development Minister, Peter Collier, was in Scotland yesterday to invite Scots to explore working in Australia where 150, 000 skilled workers are needed. Currently, more than £130 billion worth of projects in Australia are planned. 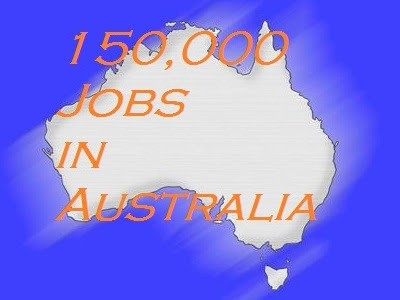 Projections revealed that Australia will be 150,000 workers short within the next five years. Such scenario will imperil a number of those projects. The minister is trying to woo skilled and semi-skilled Scottish workers to be employed over a wide range of sectors in Australia including mining, energy, renewables, construction, electrical, engineering, health, education and training. Aside from those workers, the minister is also targeting experts in renewable energy. However, Scotland is also in high demand of skilled workers for that sector. Well, Mr. Collier is very much welcome to look for skilled workers here in the Philippines for their renewable energy sector. A look at POEA approved job orders for Australia today revealed demands for various skilled positions already. Additional demand can certainly be met. I hope our government can also invite Australian officials to take a closer look at the Philippine job market to address their workforce needs. Skills, English language proficiency and world-reknowed dedication to work make OFWs ideal for jobs in Australia.